Check out if Reporters Sans Frontières is in The Top 100 NGOs 2013 Edition! Over 140 correspondentsacross five continents. Reporters Sans Frontières is the largest press freedom organization in the world. Firmly defending the public right to information and the freedom and safety of journalists, it has been raising awareness about attacks on the media for more than a quarter century. Through continuous press advisories – available in Arabic, English, French, Spanish, Chinese and Farsi – Reporters Sans Frontières maintains a daily list of journalists killed or imprisoned around the world, including those subject to mistreatment and torture. Beyond drawing public attention to restrictive censorship and the persecution of individuals, the organization financially supports media based programs to combat repressive states – such as blog platforms in China, and free and independent radio stations broadcasting from Paris to Eritrea and Seoul to North Korea – works to improve the safety of journalists reporting from conflict zones, and gives financial aid to journalists or media outlets in difficulty. 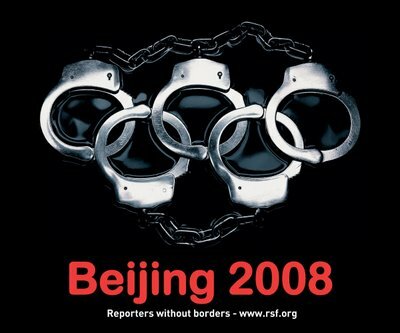 In 2010 for instance, Reporters Sans Frontières awarded grants to threatened Iranian journalists paying for medical, legal and other basic living expenses. Tirelessly striving for the integrity of media sources, the organization also publishes an influential annual ‘Press Freedom Index’, which assesses the degree of freedom journalists and media enjoy in more than 170 countries worldwide.